The DK-6 has been developed and patented by FRUCOSOL. This detergent is part of a perfect team together with the decarboniser. If we take into account the conditions and temperature of the water inside the tank then we find an efficient solution against the grease during 30 days. 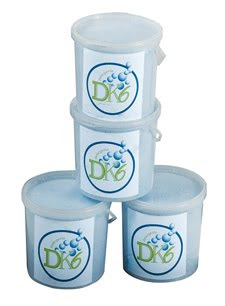 The detergent DK-6 is biodegradable, non toxic, non corrosive and respects the environment. This non corrosive detergent will not damage any kitchen tool. Extractor kitchen hoods, pots, pans, trays, metallic baskets… will look like new after being cleaned with this new system. Forget the long hours scrubbing in front of the kitchen sink and be part of the “sink and ready” system!